1920’s Citroen 5CV on display at Lecconsfield Winery McLaren Vale. 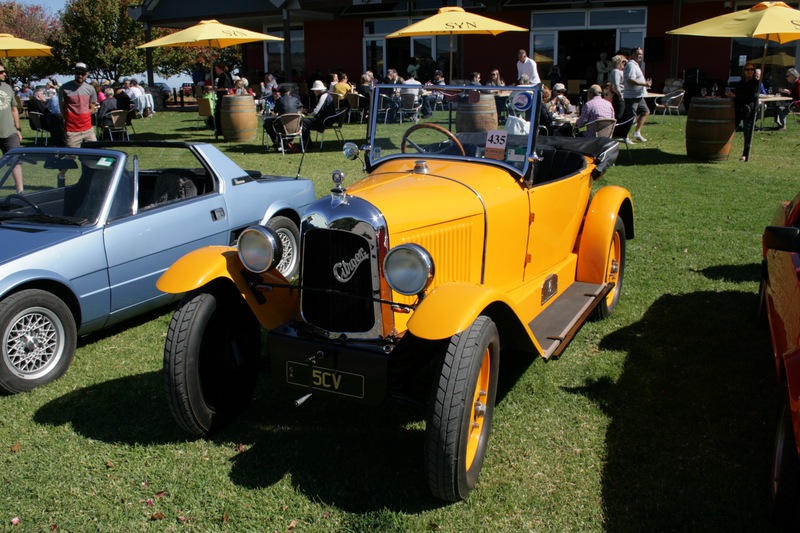 For those who enjoy the sight, sounds, and smells of classic cars there is no better environment to appreciate them in than the annual McLaren Vale Vintage Classic. Held for the 11th time on the Sunday 16th of April 2016, this prestigious wine region of South Australia, with its moderate Mediterranean climate and diversity of soil in its rolling hills, celebrated the final days of the grape harvest with this exceptional event. 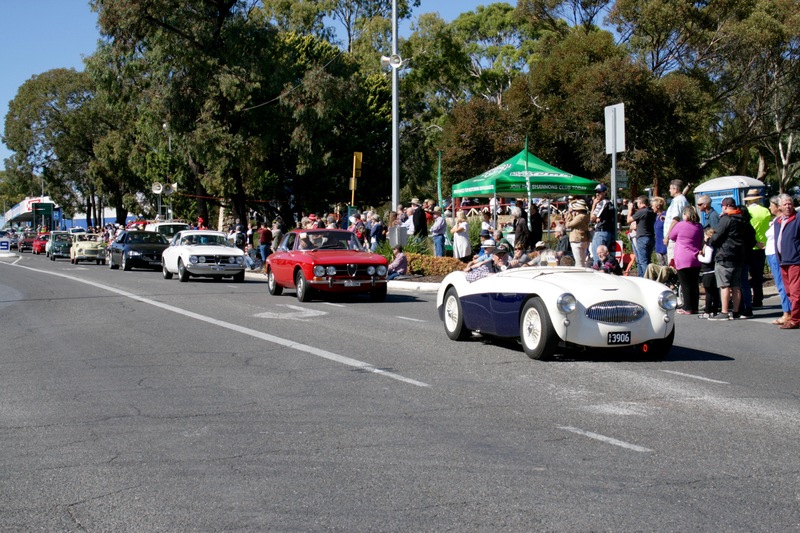 Part of the over 500 vehicles that paraded in McLaren Vale. The fun began on Saturday evening with a dinner at the Serafino Winery for participating entrants in the event. The winery was also the staging ground for the over 500 vehicles entered in a parade that took place just after 11 a.m. on Sunday. The streets of the town of McLaren Vale were lined with onlookers; families with their young children and baby boomers who may have owned one of the diverse numbers of vehicles “back in the day”. When the parade was completed for this multi-award winning event, the crowd of over 20,000 admirers dispersed and the numerous car clubs assembled at their allocated winery allowing themselves and the public to enjoy live music, great food, exceptional wines and a chance to see these wonderful classic vehicles up close. Words Geoff Dawes © 2016. Photographs Geoff Dawes © 2016. Below is a link to a map of the McLaren Vale wine region. This entry was posted in Motoring and tagged classic cars, Lecconsfield Winery, McLaren Vale on 18/04/2016 by Geoff Dawes.